Maybe you’ve got an existing website and you’re looking for someone to support it? We’ve built our own helpdesk software so that we can always keep track of requests. We provide amazing support just ask our clients! 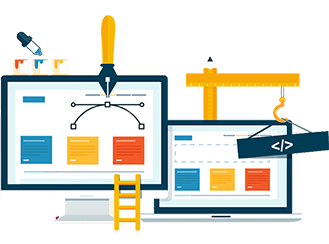 Our affordable website maintenance contracts offer peace-of-mind for clients who require frequent updates to their websites. Our friendly, experienced and helpful team are here to help you make the most of your website. SMO – When businesses don’t have the available resource or are busy with other commitments, their Social Media marketing tasks can get neglected. For a low cost monthly fee, our Social Media Optimization service will help businesses like yours free up valuable time to focus on their core services. We’ll manage those essential Social Media tasks for you daily and help improve your Social Media marketing operation by maintaining a proactive presence.